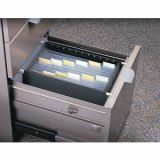 Smead Hanging Expanding File - Hanging expanding file fits in a desk drawer or travels well. Hooks retract so they don't get hung up on anything in transit. 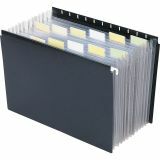 Design features 13 full letter-sized pockets and 12 indexed dividers with large colored tab inserts.  Bottom is closed. 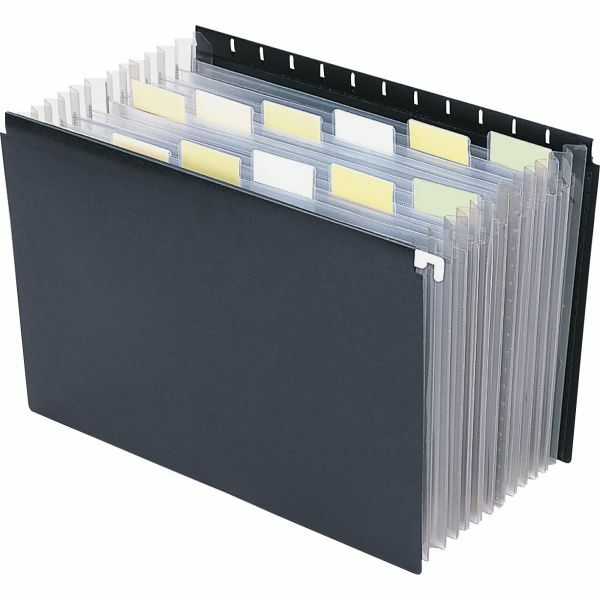 Front and back panels are slotted for standard hanging folder tabs. Each pocket expands to 7/8. 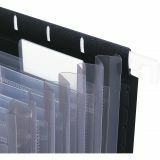 Expanding file is made of tear-resistant poly." 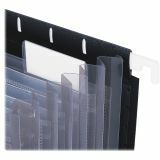 Tabbed dividers Pocket expands to 7/8"